- High quaility product,Brand new. - Single channel passive video balun. - Video transmission via UTP CAT5 cable. - 10-20% wire costs saved. - Full-mition CCTVvideo at distances up to 2000 ft (600m). - Outstanding interference rejection and transient protection. 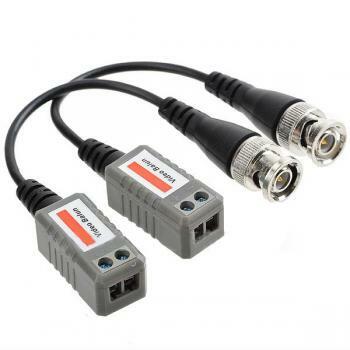 - Male BNC allows connection directly to the camera or DVR.